As soon as you begin playing, you will be welcomed with a beautiful retro art style, complete with a dynamic waterfront providing a sense of depth and atmosphere which compliments the 2D Breath of the Wild-esque environment and ambient music. If you are a first-time player, it can feel a little strange to get started or even know what to be doing because of a lack of direction, but it’s a purposeful design choice. While this is perhaps a little unprecedented in a lot of modern day games, it is what sets this game apart from others. It simply provides incentive to try things and see what happens, so within that, some gamers may find enjoyment, while others may not have the patience. Sometimes, it might not be the most obvious experiment that produces a result, but it is the sense of mystery and trying things out that will lead you to making a lot of ‘ooohh’ sounds. The game is all about being strategic about acquiring gold to build your kingdom. But before you pour your purse out for building new structures, you will be tasked with offloading coins to recruit hunters and the like, arming the recruits with weapons and tools to achieve the kingdom you desire, as well as harvest coins to be able to develop it. It’s the kind of concept that lends the game into being somewhat chilled out, but with plenty of incentive to keep playing. There is no real pressure to get things done, it’s a matter of playing at your own pace and unfolding the adventure in that way. Coins are essential within the game and collecting too many of them means you lose out on the excess that your bag can’t hold. It’s another part of the strategy behind the game, but there is plenty to be spending coins on, so it evens out. Equally, if you offload a coin, it takes a second to be able to pick it up again, but that’s probably down to it dropping so close to your character that if that didn’t happen, you would only be dropping it to immediately collect it again, so it makes sense that this was designed that way. Controls are fairly simple and straightforward as a 2D side-scroller. As well as moving left and right for the most part, you will mainly only be dropping coins and inspecting objects, so there isn’t anything complicated here. As you play through the game, there becomes more to explore and more to develop. 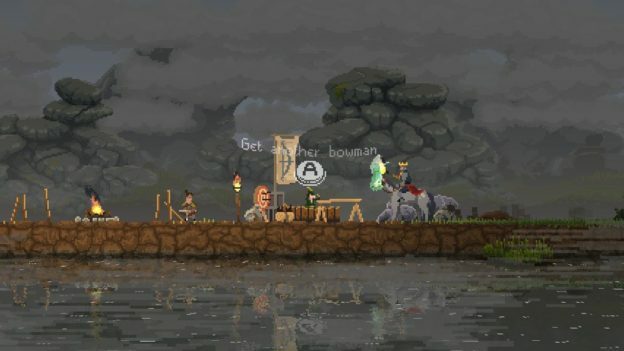 It’s a game that will provide you with a sense of tranquility, as you interact with your environment and experience the game in your own unique way. While the controls and design are both simple, the aesthetics and soundtrack are a beautiful fit for the game. I never got the opportunity to explore cooperative play, but if you have a friend who is up for a similar relaxed experience, it is a good choice if you are looking for something that is less competitive, slower-paced and something you can work together on. 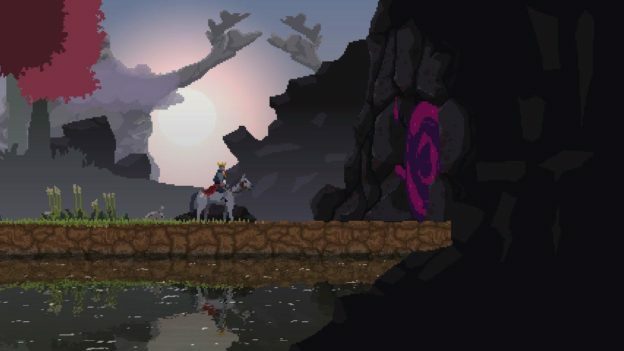 Kingdom Two Crowns requires patience and experimentation in a tranquil setting. It’s a great combination if you are after a strategy game, but it may put many off. At $19.99, it feels a little overpriced to be on the fence prior to purchase, and it isn’t a game that one person will be likely to experience the same as another reliably, therefore it is difficult to provide any reassurances in terms of recommendations. It’s strengths hold true and there will be many out there who will enjoy the game, but if you aren’t the patient type and you would rather be sure of what to do next, it might be one to miss for you. It feels like it threads dangerously on the line of addictive and boring, depending on the type of gamer you are. 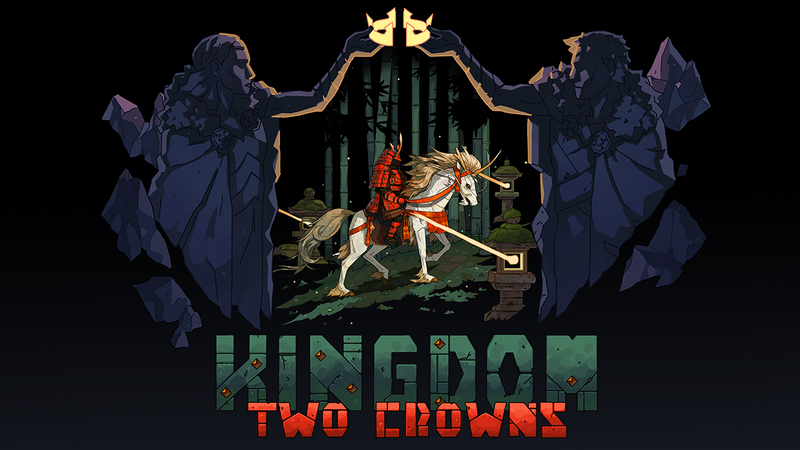 If you are a strategy fanatic who prefers slower-paced games with less pressure and the ability to trial different things without much direction, Kingdom Two Crowns is likely to attract you, and would be a great addition on your Nintendo Switch for travelling or relaxing, especially if working towards developing a growing kingdom is a compelling incentive for you.